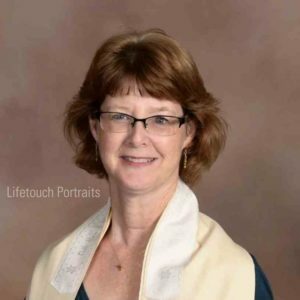 Rabbi Debbie Stiel has been the rabbi of Temple Beth Sholom here in Topeka for 10 years. Previously she served congregations in Omaha and Lincoln, Nebraska, as well as Lawrence, Kansas. Rabbi Stiel grew up in Dallas, Texas and received her bachelors degree from Rice University. She was ordained as a rabbi at Hebrew Union College, the seminary for Reform Judaism in the United States. Rabbi Stiel is married and has two sons.